Every series of Star Trek has taken the same basic premise and put its own unique spin on it. 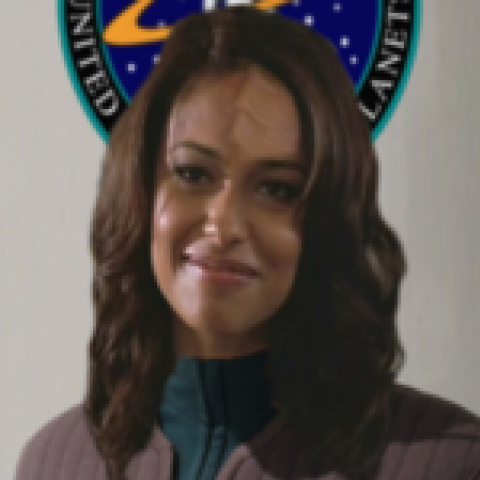 The show follows a crew of Starfleet officers as they carry out Starfleet’s mission of exploration, scientific discovery, and defense of the United Federation of Planets. There is a captain, a first officer, a senior staff made up of the senior officers of each department, and oftentimes a ship named Enterprise. Each new entry into the Star Trek franchise usually tries to do something new from the same starting point. Deep Space Nine placed its crew on a space station out on the frontier as opposed to the Federation flagship. Voyager cut the ship off from all support and left it to fend for itself. Enterprise gave us a look at the earliest days of Starfleet. Despite these changes there is still a great deal of similarity in the basic structure between shows. Every series is unique and tells its own stories, but they all branch off from the same general starting point. However, there’s nothing to say that every Star Trek series has to follow the usual Starfleet crew on their adventures. There are several alternative perspectives that a new series could explore, both inside and outside the United Federation of Planets. If a new Star Trek series decided to depart from the familiar setting of a Starfleet ship or starbase what would you be most excited to see? Poll of the Week: Which crew would you serve with?